Whether your coming home to Huntington for Christmas or looking forward to Winter Break we invite you to our College & Young Adult Christmas Party. Hosted by the Carlton Family on Sunday, December 16th at 8pm you will be able to eat and catch up with friends..
To share Christ authentically and purposefully, we have to reach out beyond the walls of our church. 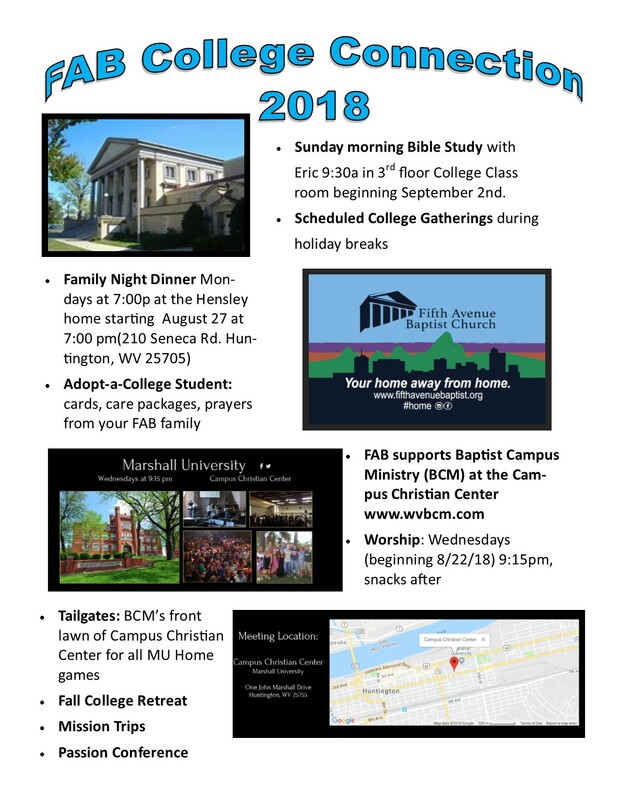 Through a partnership with Baptist Campus Ministries, FAB has an active presence on the campus of Marshall University. From bonfires to concerts to meeting up for dinner, our College & Young Adult Ministry offers encouragement and friendship to students by meeting them exactly where they are. Our hope is that our presence on campus helps Marshall students encounter Christ in a personal, relational way. 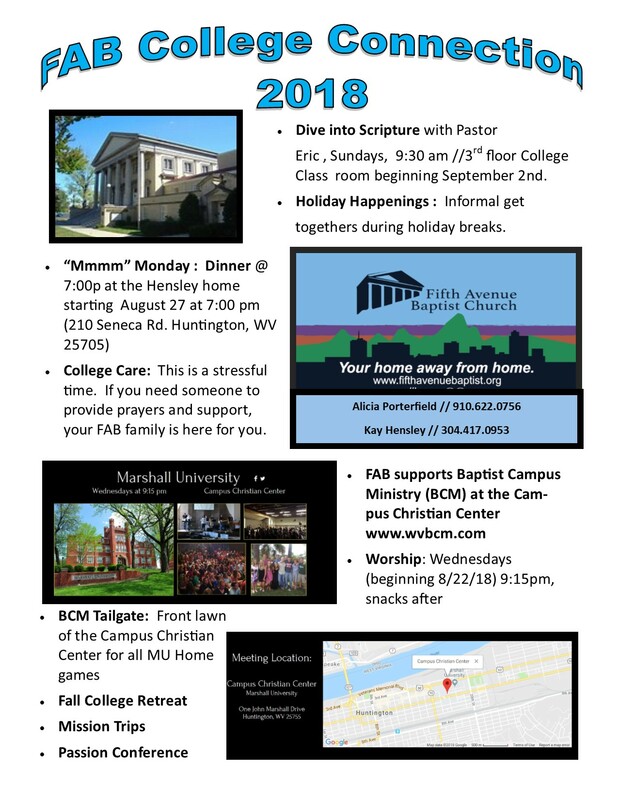 To get involved in the FAB College & Young Adult Ministry or find out about upcoming outreach events on campus, email Alicia Porterfield. Through our adopt-a-college-student program, members of our church send monthly letters and care packages to college students, reminding them that they are prayed for and loved by their FAB family.